Let's get to the countdown! 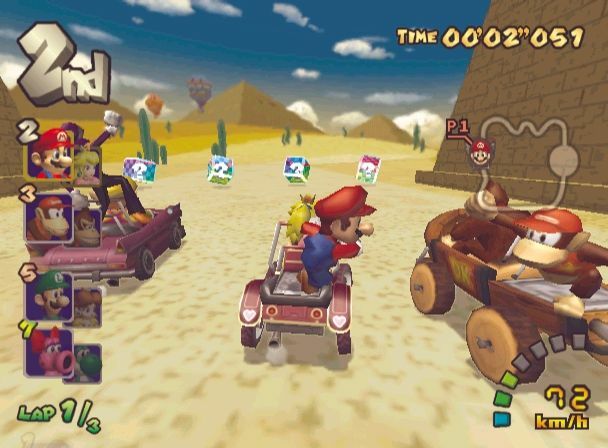 We kick off this week's list of ten games with Mario Kart: Double Dash!! No, we didn't add in two exclamation points for effect-- that's how the title of the game is officially written as by Nintendo. 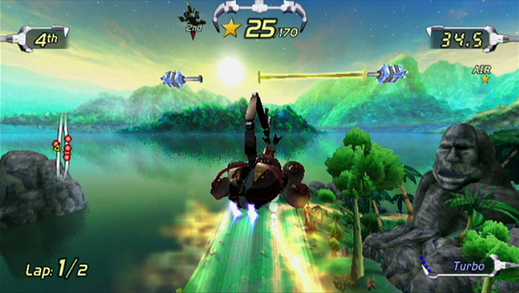 Regardless, onto the game itself-- what we consider the greatest kart racer of the PS2 era. The cooperative nature of having two racers per kart added a new dimension to the gameplay, and working in tandem to achieve the same goal-- first place-- made for some very fun and hilarious exchanges between both opponents and partners! 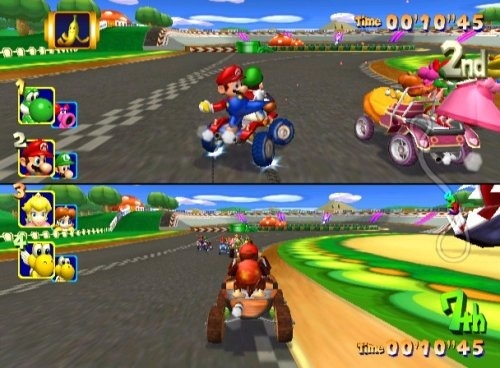 Double Dash!! featured a great amount of new tracks, including Baby Park, Mushroom City, Bowser's Castle, Dino Dino Jungle, Wario Colosseum, and Rainbow Road, to name a handful. It's a game that still delivers to this day, Mario Kart: Double Dash!! is a local multiplayer juggernaut. 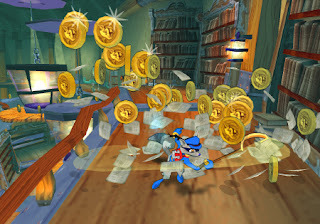 Out of the four Sly Cooper games that have been released thus far, we still have our hearts pilfered by the first game in the series, Sly Cooper and the Thievius Raccoonus. 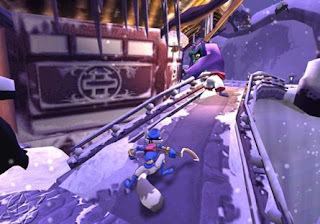 Emotional gibberish aside, Sly 1 introduced the world to that thieving raccoon and his accomplices, a brawny hippo and a tech-savvy turtle. It also put Sucker Punch (now working on the PS4 launch window title InFAMOUS: Second Son) into the gaming public's collective eye. We rate this Sly Cooper above the rest because of how it was structured. There wasn't much in the way of an open world setting, and each mission was an actual full-fledged level-- something we enjoyed and preferred greatly. Yes, there have been better boss battles in the series since, but no Sly Cooper game has enthralled us more than the Thievius Raccoonus. 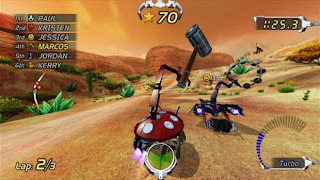 Quite possibly our favorite racer of the past generation was a severely overlooked title from Monster Games called ExciteBots: Trick Racing. It was absolutely crazy, manic, wild and highly enjoyable. You see, you didn't just race to the finish in the game. No, you had to do it with some style. Performing tricks in the air, carefully driving through tree-lined paths and kicking field goals were just three of the many ways to earn stars. At the end of the race, the player with the most stars was considered the winner. In the solo mode, depending on how many stars you earned, you were awarded a letter grade. Getting the top grade meant unlocking an abundance of new tracks, content, and bots. 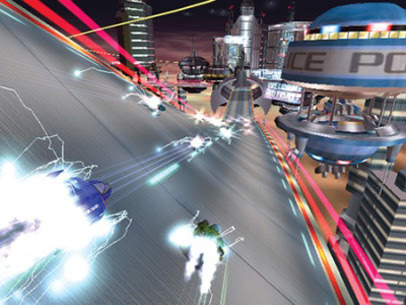 The motion controlled driving worked great on the wide tracks ExciteBots was full of, and the level of insanity crammed into the game disc still hasn't been topped by any racer. You can nab ExciteBots: Trick Racing (at least in North America and Japan) on the very cheap, and it's an absolute steal. You'll be ready to make Super Sandwiches while you perform Super Tree Runs shortly thereafter! Size matters, especially in the world of The Legend of Zelda: The Minish Cap. 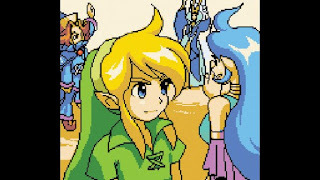 While Link appeared in a title before Minish Cap, Capcom's take on the Zelda series was a wholly original one, taking Link and allowing him to shrink down to Minish people size. 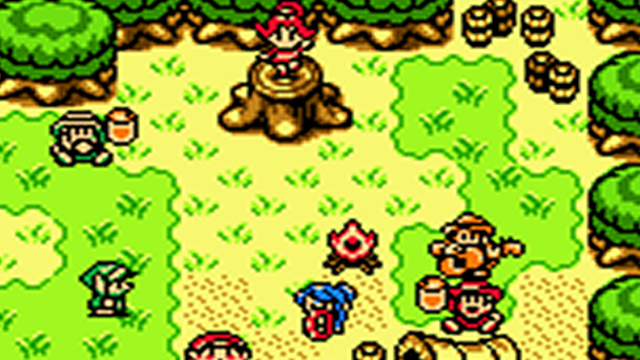 This ability granted him access to new locations, and made ordinary-sized objects in the real world dangerous and possibly deadly in the Minish world. The game's six dungeons were fantastically designed, showing that Capcom had not lost a step since Oracles of Ages and Oracle of Seasons (speaking of which.... later on this list...). The bright and colorful graphics looked absolutely wonderful on the Game Boy Advance's screen, and the music beautifully blended old and new, bringing remixes and totally new tracks to the table. Nintendo 3DS Ambassadors have this game on their handhelds already, so here's hoping more people get to experience The Legend of Zelda: The Minish Cap if the Ambassador games are made public. Do you like high velocity races? Do you like futuristic settings? Do you like anti-gravity? Do you like fiendishly difficult games? Do you like loop-de-loops, twists, turns, and swirls in your track design? Will Captain Falcon forever be your hero, and not just only for tonight? If you said "yes" to any one of these questions, then F-Zero GX is the title for you. This GameCube exclusive was the last F-Zero game to hit a home console, and it contained over 30 unique racers, 30 participant races, mind-blowing graphics, a sensational soundtrack comprised of electronic, techno and rock music, and some of the greatest racing to ever hit a Nintendo system-- nay, any video game system. 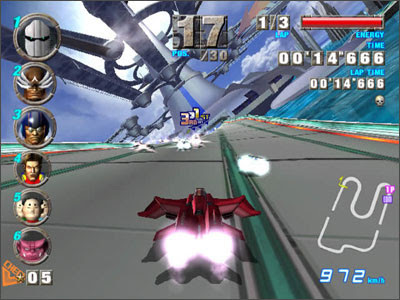 F-Zero GX is a technological marvel, but it also has the heart of an exciting and ultimately really rewarding racer. In the Super Nintendo era, we were but young kids. We didn't know much then, but we know now how much we miss that generation of gaming, if only for the copious amounts of platformers that popped up at the time. 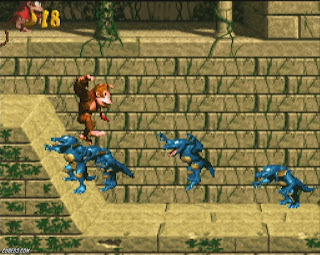 Rare's Donkey Kong Country brought Shigeru Miyamoto's main monkey back into the spotlight, this time in heroic form and a snazzy, new, red tie. 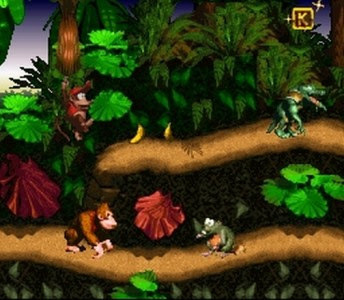 Many were wowed by the well done visuals, genius music and tech of the game, but Donkey Kong Country also had the gameplay to back the whole package up. Cartwheeling across chasms, blasting out from barrel to barrel, and beating the crud of those cursed Kremlings made for an excellent ride. The amount of secrets in the game made for a highly replay-able platforming adventure that has since stood the test of time. 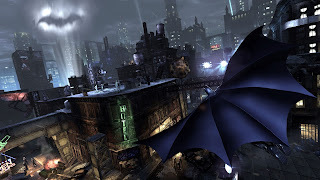 It is not a stretch to call Batman: Arkham City one of the best superhero games ever devised. It is not simply a great superhero game, but it is a great game in general. Arkham City introduced a more open world setting to players, which was an entertaining to glide and grapple across. The combat system made for battles that were seldom a chore and took some ingenuity and finesse to perfect for the developers (and to master for the players). 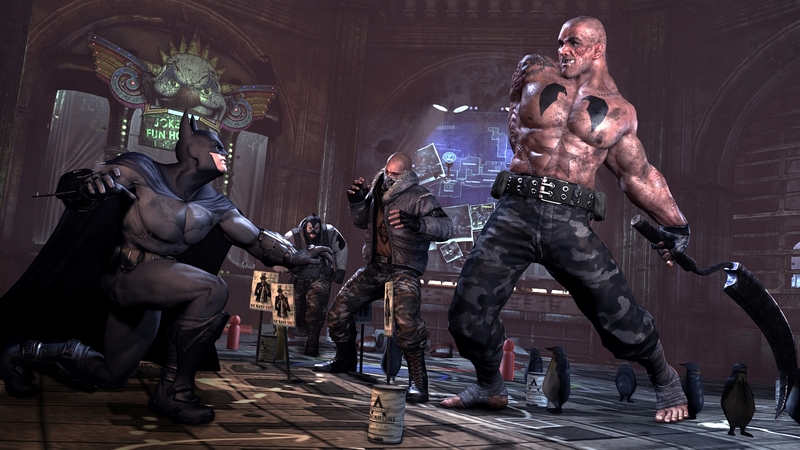 The story of Arkham City was exciting from beginning to end, constantly having us play more extra minutes than we should have been just to see what happened next. 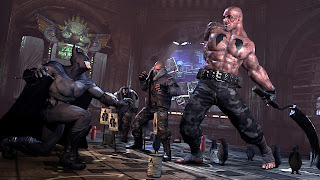 Exploration of Arkham City was a joy to do, and the walled off dystopia held many side quests among its main missions, showcasing new characters seemingly at every turn. Batman: Arkham City successfully was the ultimate superhero experience, and we're excited to see where a new developer takes us with Batman: Arkham Origins. We recently revisited both of these Game Boy Color Legend of Zelda games when they released on the Nintendo 3DS Virtual Console. 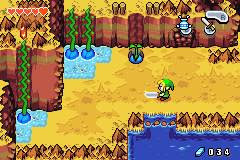 The pair of Zelda adventures both had their own overworld gimmicks (and we don't say that in a negative way) to change how Link explored each game's respective world. 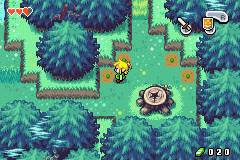 For Oracle of Ages, it was transporting from the present to the past and vice versa. For Oracle of Seasons, it was cycling between the four seasons to pass environmental obstructions and progress through the game. Both games contained eight unique and well designed dungeons that were so good you wouldn't know that an outside studio made them and not Nintendo themselves. After one game was beaten, a password could be inputted into the other to continue Link's quest on the other game. Through beating both, you would be introduced to the real villain behind both game worlds' problems. If you have yet to play either Oracle of Ages or Oracle of Seasons, you are truly missing out. We probably have this game listed too low on this list for a lot of PlayStation fans, but that's okay. Just know that we do love Team ICO's second PlayStation 2 effort a whole lot. While at first glance Shadow of the Colossus comes off as an action-adventure game, there are no towns or dungeons to visit, and no other enemies to take down besides the colossi within the game. 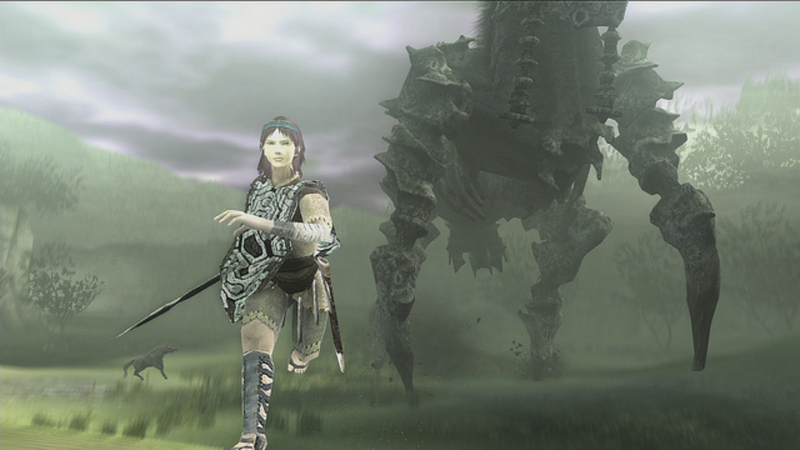 Each colossi boss towers over Wander, the protagonist, and this is where Shadow of the Colossus almost reaches puzzle game levels. The tact and approach to taking down each colossi, figuring out and then exploiting their weakness(es) is what you, as the player, must do. However, the game isn't perfect, which is why we have it listed at #52. The camera and controls can be a bit clumsy, which detracts from the experience. 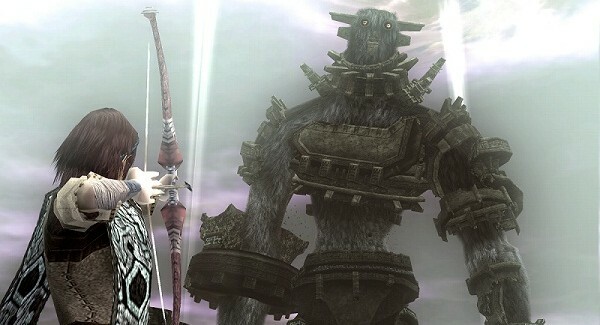 That said, the experience that Shadow of the Colossus gives players is one that most should not go without having for themselves. After the two Final Fantasy games that preceded it went with a more modern approach, Final Fantasy IX went back to its roots with a more classical, medieval setting, with cartoon proportioned characters. 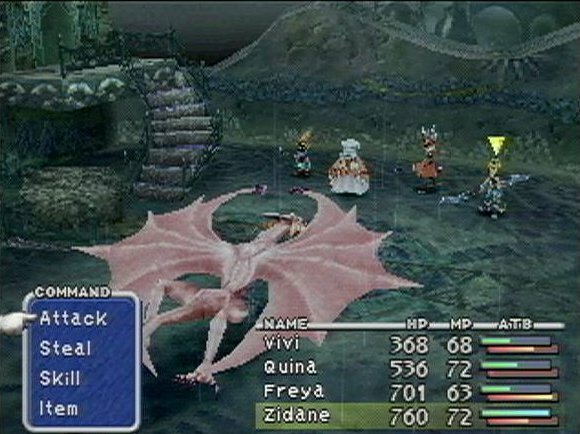 This traditional Final Fantasy approach made those of us nostalgic for the old days of the series jiggle around with glee. 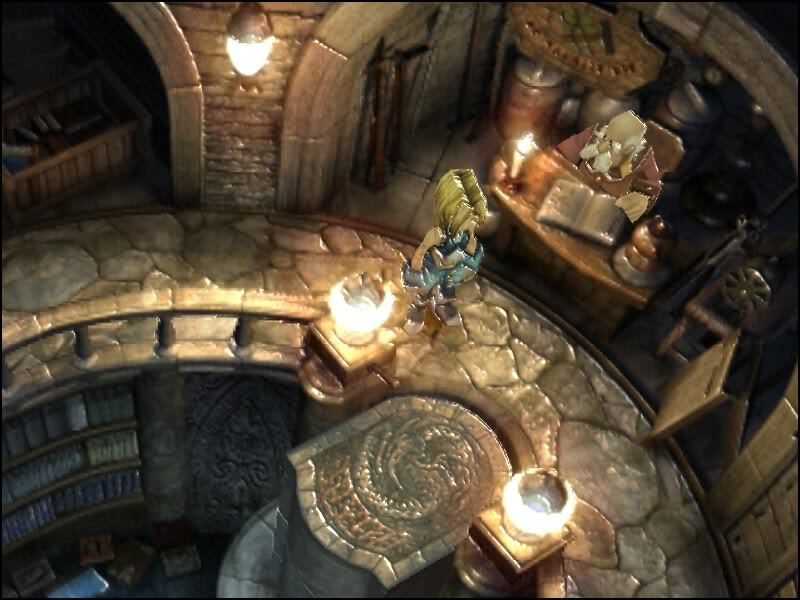 Final Fantasy IX's world was a marvel to behold, offering wondrous location after location, the Active Time Battle system made it so players had to act fast or get beaten down, and the cast of characters were some of the most endearing ones of the PlayStation era. Final Fantasy IX may not be the best that Squaresoft had to offer PlayStation owners, but it certainly rings true for us as one of the better mainline installments in the series.